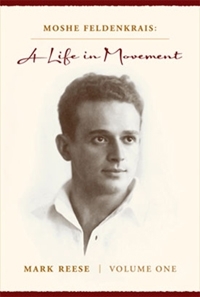 You come across The Feldenkrais Method and want to read more about its founder Moshé Feldenkrais and his method. Then this is a good place to start your search for Feldenkrais books. Or are you looking for gift ideas for Feldenkrais practitioners or students? These Feldenkrais books might be exactly what you are looking for in order to create happy faces not only under the Christmas tree. The Feldenkrais Method gains publicity and the amount of books about it is growing. Still it might be possible that your favourite read about The Feldenkrais Method is missing. In that case please drop me a line via info@movingexperience.eu. I am happy to add more Feldenkrais books to this list. If you are selling/writing Feldenkrais books I am happy to add yours in exchange for a back link and a LIKE on Facebook (Moving Experience). Thank you in advance. Most of the links are Amazon Affiliate links which means that if you make a purchase through the link, I will get a small commission at no extra cost to you. There are many interesting Feldenkrais books out there. You’ll find books written by e.g. Tiffany Sankary, Victoria Worsley, Garet Newell & Simon Paul Ogden, Thomas Hanna, Chava Shelhav, Frank Wildman, Samuel H. Nelson, Norman Doidge, Ruthy Alon, Edward Yu, Yochanan Rywerant, Anat Baniel and Martha Peterson. A Feldenkrais Book Is Missing? 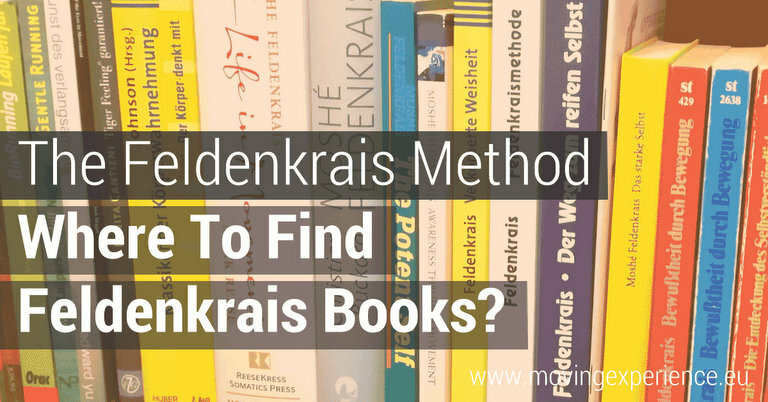 Is your favourite Feldenkrais book missing? Have you written a Feldenkrais book yourself and would like me to add it to this list? Drop me (Bärbel Rücker) a line via email info (at) movingexperience (dot) eu. Auch auf dem deutschen Buchmarkt finden sich zahlreiche Bücher über die Feldenkrais Methode. Unter anderem von Autoren wie Alfons Grabher, Thomas Hanna, Frank Wildman, Wim Luijpers, Roger Russell, Norman Doidge, Ruthy Alon, Edward Yu, Yochanan Rywerant, Eli Wadler und Hanna Margarete Schilling. Kannst Du Dein Lieblingsbuch über die Feldenkrais Methode hier nicht finden? Hast Du vielleicht selber ein Buch über diese Methode verfasst und würdest Dich gerne hier auch wiederfinden? Kein Problem. Scheib mir einfach eine Email mit den nötigen Angaben an: info (at) movingexperience (dot) eu. Where To Find Feldenkrais Audio Material?